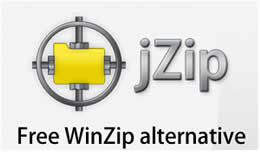 Jzip Windows is a software that quickly performs the compression of files and folders in Microsoft Windows operating systems as well 7-zip, but which in many cases simplifies script management even on very recent versions of the operating system. Its installation is very fast, as the common installation is not necessary, but it is enough to copy the jzip.exe file in the c: \ Windows \ System32 \ directory and retrieve the file from the cmd.exe terminal using the permissions granted to the administrator of the system for opening the command terminal. It is not easy to find on the network the various commands necessary for the use of this useful tool that, for those who are not a systems engineer and operates on servers, may seem almost useless in the face of the rapid "send to compressed folder" present in Microsoft systems. System operators also often use it to write batch procedures and launch file and folder compression using the scheduler utility. The elements in [brackets] are optional. The options are introduced by a hyphen ["-d"] or by a bar ["/ d"]. Add all the files in the current directory to test.zip with pasword which is "password". Create test.zip and include all the files in the current directory except the .txt files. Extracts all files from Test.zip to the current directory. This command extracts all the files from docs.zip and overwrites the files in the current directory, if necessary. This command does not overwrite the files in the current directory. This command extracts only the most recent files, skipping the older ones. Adds all * .txt files in the current directory to test.zip and then resets the archive attribute. Adds all the .gif files in the current directory to the test.zip file, using the advanced deflate method with maximum compression. Replaces all the .txt files that are currently in test.zip with the latest .txt files found in the current folder. Used to update existing Zip files. The above adds new files or updated files found in the current directory to test.zip. If a file currently exists in the Zip file, add it only if the date on the disk is more recent than the file date in the Zip file. Adds all the * .txt files found in the current directory, with their archive attribute set, to test.zip. then remove the archive attribute from * .txt files. Zip all the files in the current folder including system and hidden files. all files in the current directory except the system and hidden files. Add all the files in the current folder, EXCEPT the hidden and system files, to test.zip. Hidden, system, and read-only attributes are not preserved on files added to the Zip file. Add all the files in the current directory to test.zip, EXCEPT hidden and system files, in the current directory on test.zip. 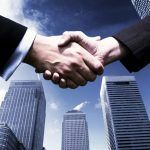 Keep the attribute read-only if applicable. Add all the files in the current folder to test.zip (existing Zip file) and keep the original file date. -m [f | u] An advanced version of the "Move" basic command. - If the file exists in test.zip and date is more recent on disk, move the file to test.zip. - If the file exists in test.zip and the date is earlier than or equal to disk, simply delete the file from the disk. - If the file does not currently exist in test.zip, ignore it.jzip -mu d: \ temp \ test.zip *. * Move all files to test.zip. Those files that already existed in test.zip and are newer on disk, update those files. All new files found in the current folder are also moved to test.zip. The files on disk are deleted. -po -P Stores the folder names. Add all the files in the current directory to test.zip, which have an equal or more recent date than the 2003, 02 September. A "listfile" is a default TXT file, which contains a list of files to extract from an archive. A list file is based on the line, where each line can only contain a file name. File names can also include wildcards. The wildcard specification "*" is intended as "*. * ", That is all the files. The list file can also contain comments, indicated by a semicolon. any text that follows a semicolon (';') is ignored until the end of the line. For example, we have an archive file called "MyArchive.zip". This archive contains many files of various types such as DOC, JPG, TXT, PDF, EXE, etc. we can use the basic extraction command, "-e", to extract the files, but this will extract ALL the files from the archive. on the other hand, we can create a list file, in which we specify exactly which files we want to extract from the archive.